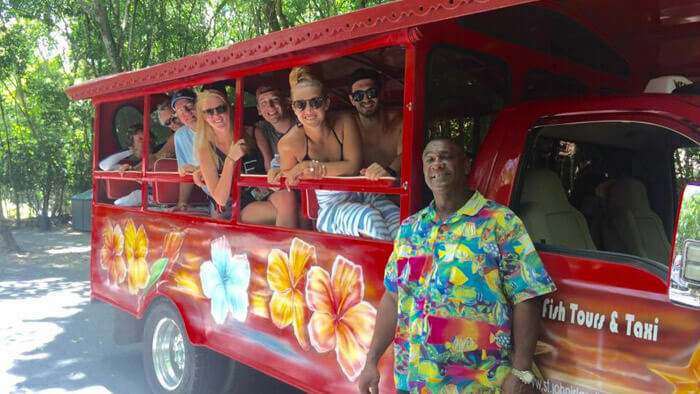 We warmly invite you to enjoy your own PRIVATE Personalized island tours, beach trips and other St. John transportation needs while visiting our beautiful island. 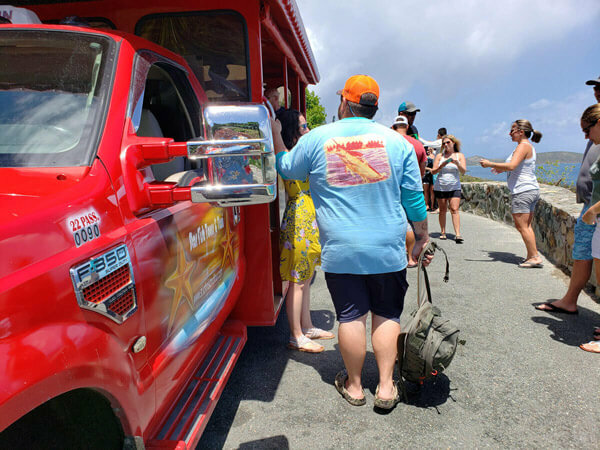 We take you beyond the normal taxi tour, adding our local knowledge and personal recollections of island life, local culture, and share some of our history and lore we have learned from our St John ancestors, with stops along the way for photo opportunities. We can also help you with all of your St John wedding & transportation needs. Please note that we are located on St. John, US Virgin Islands in the Caribbean! We have had some confusion from some customers over other St. John's of the world! 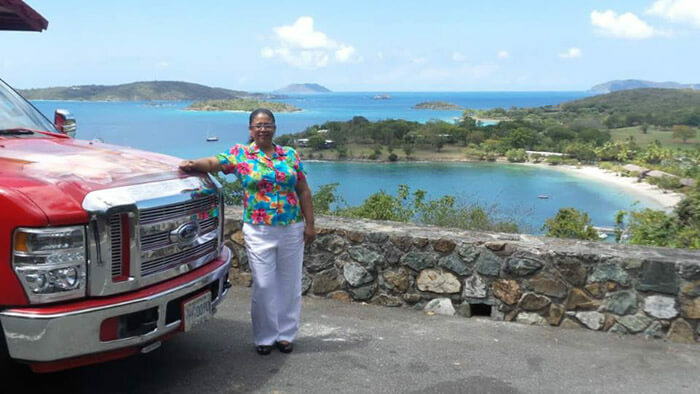 St. John Private Tours & Day Trips are a breeze with Star Fish Tours and Taxi! We do Private Tours Only. We do weddings, beach trips, Private Island tours, or transportation of any sort – just let us know where and when you want to go! Experience the breathtaking views of Caneel Bay, Trunk Bay, Hawksnest, Cinnamon Bay, Maho Bay and much more. Learn from St John locals about St. John’s culture, history and some of our local “lore” while visiting the Annaberg Sugar Mill. Let us take you to the highest mountain, Bordeaux Mountain, for an incredible view down to Coral Bay and the East End of St John, and to the British Virgin Islands. Feel free to contact us if you have any special requests or any questions. The Tour begins at your requested time. Tour St. John's famous North Shore beaches, Annaberg Ruins and Bordeaux Mountain along with a snorkel stop. The Tour begins at your requested time..
Tour St. John's famous North Shore beaches, Annaberg Ruins and Bordeaux Mountain. 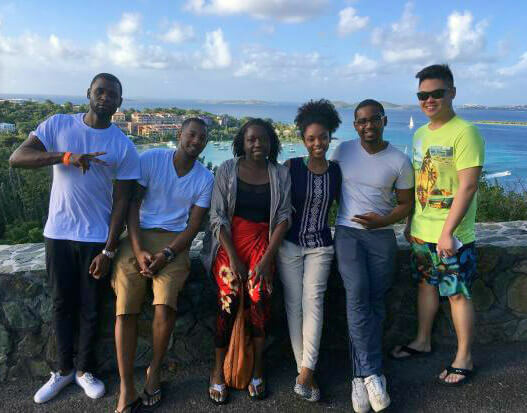 Our four hour Private Tours of St John begin at a time convenient to you and your group. We will meet at the Cruz Bay Ferry Dock & begin the tour based on your scheduled arrival time. If you prefer to have us pick you up at your Villa or Resort those arrangements can be made. Your tour guide will be the person waving a sign that says ”STAR FISH TOURS & TAXI”. Our tour will begin at that point. 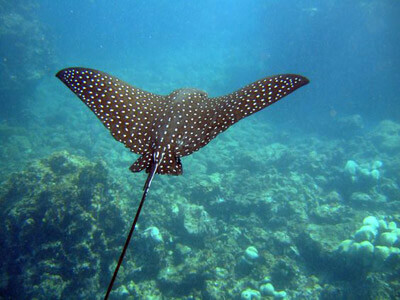 You will be given a tour of our beautiful beaches such as Caneel Bay, Hawksnest, Trunk Bay, etc. We’ll make a historical stop at Annaberg Sugar Mill and get a feel of what took place in the early 1700’s with the production of sugar, molasses and so forth. Once we leave the North Shore we’ll head toward the highest mountain peak – Bordeaux mountain. Here is where you’ll get an awesome view of the Brithish Virgin Islands as well as Coral Bay Harbor. Pick any of the National Park beaches along route 20 for your snorkel stop – Caneel Bay, Hawksnest, Trunk Bay, Cinnamon Bay or Maho Bay. We highly recommend Trunk Bay or Cinnamon Bay. Trunk Bay has an underwater snorkel trail around its surrounding cay. They also have a concession stand where you can enjoy lunch as well. Our 2½ Hour Private Tours begin at a time convenient to you and your group. 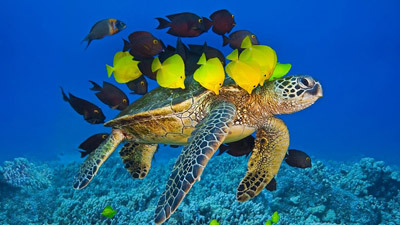 You will be given a tour of our beautiful beaches such as Caneel Bay, Hawksnest, Trunk Bay, etc. We’ll make a historical stop at Annaberg Sugar Mill and get a feel of what took place in the early 1700’s with the production of sugar, molasses and so forth. Once we leave the North Shore we’ll head toward the highest mountain peak – Bordeaux mountain. Here is where you’ll get an awesome view of the British Virgin Islands as well as Coral Bay Harbor. 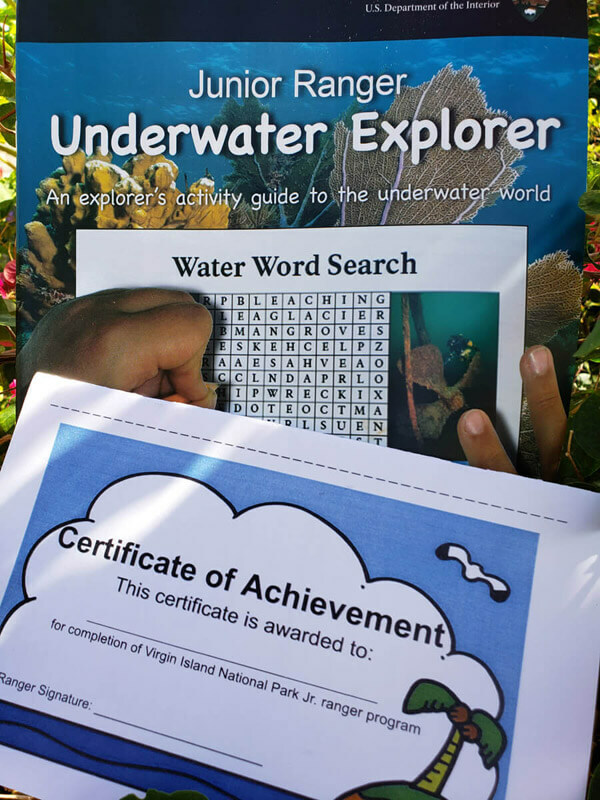 Get your National Park Junior Ranger Badge or Certificate while on St. John at the Visitor’s Center. 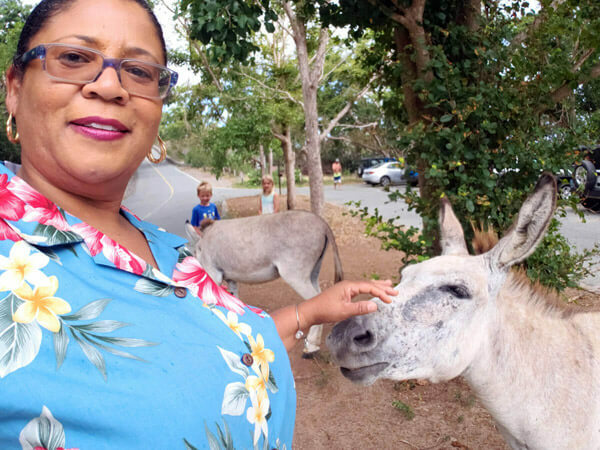 Owned and operated by your personal tour guides, Evans and Hibiscus combined have been giving St. John island tours for the past twenty-five years. As true native St. Johnians we know St. John (locally known as “Love City”) very well. We were both fortunate to be raised and schooled here on this lovely island. Our family roots can be traced as far back as the 1800s. If you are not staying on St. John, but visiting from St. Thomas or St. Croix, make the trip over to St. John. you are guaranteed a trip of a lifetime. Our motto is “Fun in our Tropical Sun.” We love to have a good time, and want the same for you while visiting our home, St John Island. We look forward to meeting you, and sharing our wonderful island with you! 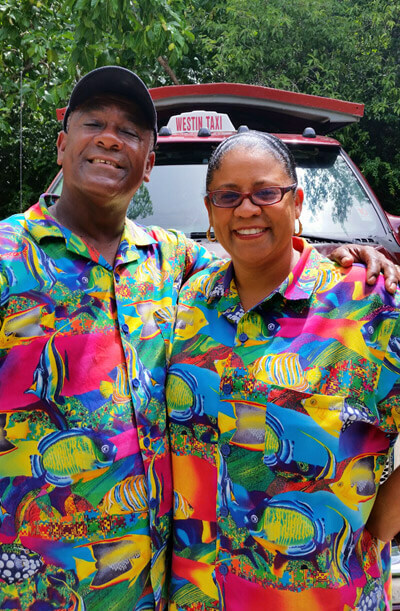 We look forward to welcoming you and your family or guests on our tours and other transportation services. If you are celebrating a special occasion or want to ensure a specific date and time for a tour or private transportation, we recommend making reservations in advance of your arrival on St John. We also welcome reservations while you are on St. John, so keep our phone number(s) handy! If you have immediate questions, please call us at 340-998-6139. We will confirm with times and possibilities! A 50% deposit is requested at least 48 hours in advance and is non-refundable.